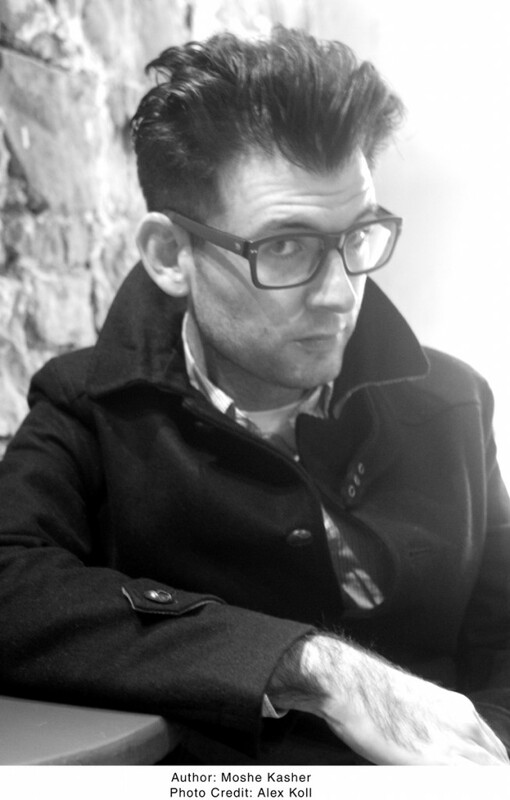 I had a chance this week to catch up with Moshe Kasher, comedian, actor and author of the new memoir , Kasher In The Rye: The True Tale Of A White Boy From Oakland Who Became An Alcoholic, Criminal, Mental Patient-And Then Turned 16. He is my favorite standup comic, mostly because he is me. In a rare journalistic coup, I was given the inane opportunity to interview myself in anticipation of my own book. My ego is one of epic proportion and thus, the arrogance of this act barely blips on my radar screen. I took the chance to chat with Mr. Kasher, myself, at his very small home in Los Angeles. He was, as usual, watching Star Trek: Deep Space 9 when we shared this conversation. What a charming, charming man. Thanks so much for taking the time to speak to me Moshe. It’s not a problem. You are my favorite journalist. Well, you are my favorite comedian! Is there a reason you felt this book had to be written? I guess that I felt this story living in the pit of my stomach forever. It lived with me and infused itself into my every action. I went to rehab for the last time when I was 15 and when I was about to turn 30 I had a realization. It had been a full measure of life I’d lived since I’d found a way to put a cork in the cesspool I was sinking down. So, staring at 30, it felt like time to tell my story. That’s a pretty sincere answer, considering the tone of the beginning of this interview. Yeah, me neither. So, do you felt the book does its job? In terms of telling my story, yes. In terms of touching people, like I’d hoped to be able to do with this book, I guess I’ll have to examine the rubble of the aftermath of the book release and hope that I find some laughter and some tears. Touch them as in sexually? Speaking of growing up, do you suppose this story would have been the same had you grown up in a different time or a different place? I really don’t. This book and, of course, my life, took place in a particular time and space that informed it and informed my life. Oakland, and the 1990’s are the invisible main characters in the book. They create the foundation of this story. The story is a snapshot of life there and then. Hip hop, divorce, ADD, Zoloft… these are the motifs of the book that make it a unique look at a singular time. What’s the word motif mean? Well, I’m curious, how did your mother receive the book? It exposes quite a bit about her. My mom is pretty proud, which is nice. What’s nicer is that she is finally able to enjoy a work I have done in the medium in which it was intended to be experienced. The book is a book and is meant to be read. And, unlike my stand up, or my acting, there is no barrier between the work, and her experience of it. And that’s really nice. Both of your parents are deaf? Wait, are you the interviewer or the author now? I don’t even know. I remember being this insane kid and trying to figure out how to survive all of these little splinters of insanity that stuck in my skin and set me on fire with the pain of feeling different. All those splinters fell out of me the moment I got high for the first time. Actually, no, they didn’t. They just sunk deeper inside of me and I imagined they weren’t there anymore. The more I got high, the more they sunk into me. Until, at the end, they were surrounding my heart, threatening to end me. What’s in a (Really, Really Non-Jewish-Sounding) Name? Moshe Kasher is a standup comedian, actor and author. You can buy his memoir Kasher in the Rye here. Follow him on twitter @MosheKasher. This was the best “self interviewer” (can we call it that?) interview I’ve ever read. And the first. Moshe Kasher is my hero. Please come back to Toronto STAT!